Canberra located in the South Eastern part of Australia is the capital city of the country. The city of Canberra is located within the Australian Capital Territory. 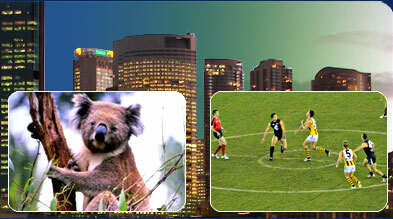 This city is one of the largest cities of Australia and is the largest inland city. In 1908 Canberra was selected over Sydney and Melbourne which were two other major cities of this country. The lush gardens which adorn the city have given the city the name ‘bush capital’. The National Capital territory was formed in 1911 and Canberra was mad the capital city in 1913. Canberra was originally a home of the aboriginals who had resided in this area from thousand of years ago. Various archeological excavations and rock paintings of the indigenous people have proved this point. The Europeans began to infiltrate into this region since the early 19th century. The aboriginal life, culture and tradition were disrupted by this influx of Europeans and the community was marginalized. The first stock station was built in this area called ‘Canberry’ which was very similar to the aboriginal word ‘Kambery’. In the first half of the 20th century two significant movements took place in the city called the Garden City movement and City Beautiful movement. The climate of Canberra can be divided into four seasons, summer, winter, autumn and spring. The winters are mostly severe though the city rarely experiences snowfall and the summers are hot and dry. The city experiences significant amount of rainfall during the spring and there are also occasional thunderstorms. The annual average temperature in the city ranges from 28oCelsius to 0oCelsius. The Canberra city is administered by the Legislative Assembly and its members are elected at regular intervals. The city is divided in to three districts Brindabella, Molonglo and Ginninedra and there are 17 constituencies within it. Since 1989 the Australian Capital Territory had gained a self governing right. Tourist to Canberra comes to this city to explore its natural beauty and experience the federal past of the country. This city also has a reputation of being a major cultural center of Australia. Some of the places of attractions in Canberra are National Gallery of Australia, Old Parliament House, Australian War Memorial and National Library of Australia. Every year the Canberra festival draws visitors from all over the country and the world. It starts from 12th march which is the foundation day of the city and continues for ten days. Another festival which attracts numerous visitors is the Floriade flower festival. The city of Canberra is just 280 kilometers from Sydney and also near Melbourne and Adelaide. The Federal highway connects Sydney and Canberra. The city has its own railway station and an international airport which is well connected with the other major cities of Australia. There are many restaurants, cafes and coffee shops located all around Canberra. For a luxurious wining and dining, restaurants like Anise restaurant and The Boat House by the Lake can be visited.